Updated Saturday June 10, 2017 by Brantford Galaxy CSL. During the first two weeks of the 2017 CSL season, Brantford Galaxy First Division team have recorded 1 win and 1 Loss. On Saturday, June 3rd. the York Region Shooters defeated the Galaxy 2-0. 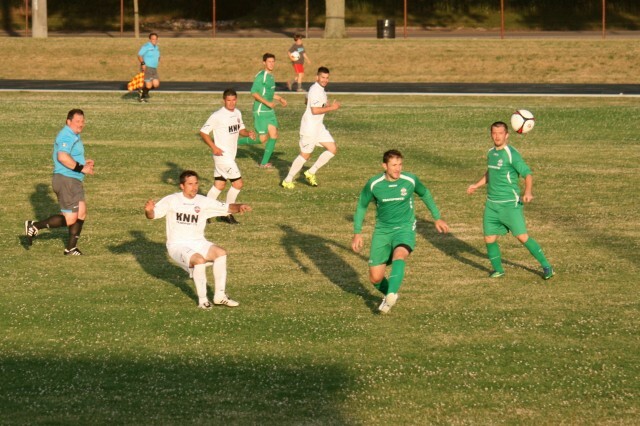 The Galaxy B second division team Have been impressive winning both games by netting 4 goals against London City and the Serbian White Eagles. The team currently tops the division with 6 points, 8 goals for and 1 goals against. The team continues its games on the road playing FC Ukraine United B on Sunday, June 11 at Centennial Stadium and SC Waterloo B at Woodside Park in Waterloo June 17th. Saturday, Jun 24, 2017, both teams will play a doubleheader. Galaxy B team will play Royal Toronto FC B at 4:00 pm and the Galaxy first team will play Serbian White Eagles at 7:00 pm, at Lions Park.